​I have been collaborating with US lyricist Donna Evans and writing an album of new country-blues songs called Waiting in the Wings which was released in Sept 2018. It has been exciting to work with a talented US co-writer as this gives me an American perspective especially beneficial for country songs. The album is available on all the major streaming sites such as Spotify, Apple Music and Amazon Music as well as the digital download sites such as iTunes and Amazon mp3. I have produced and arranged all the music as well as playing guitar and keyboards. Below are a few song excerpts to sample from the album which I hope you'll enjoy. I've also included music player links to Bandcamp where you can purchase the downloads and Spotify streaming link. I have played piano regularly in many of Cornwall's premier hotels including Penmere Manor Hotel in Falmouth, the Headland Hotel in Newquay and Budock Vean at Helford Passage, Mawnan Smith. In Autumn 2013 I teamed up with female vocalist Jules Varley to form the jazz, blues and acoustic duo Julestone and we have played many hotels, restaurants and bars in Cornwall since that time. Currently, however, due to various commitments on both sides we are concentrating on writing and recording rather than gigging and working new original songs for future albums and singles. Whilst Jules is the lead vocalist in Julestone, I also sing and on most songs we like to concentrate on some vocal harmonies. I play piano, keyboards and guitar and take care of the music arrangements and general music prouction. In 2015 we have released a CD called Anyway featuring twelve original songs ranging from blues to ballads, from funk to folk and orchestral to stripped-down acoustic. The overall feel, however, is mellow, chilled and relaxed. We are currently working on a new collections of songs ranging from country/acoustic style to dance/funk and plan to release new singles and album material very soon. 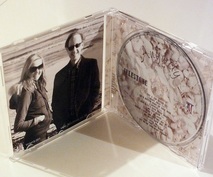 The physical CD product may be purchased directly from this website at the TCM Shop page here. Below are six song excerpts to play. 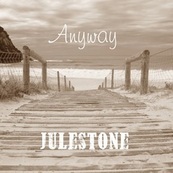 The Julestone album Anyway is available from all the major music streaming and digital download sites. When I was regularly performing in hotels I made two instrumental CD recordings: Cornish Blue - a collection of 7 original compositions and 7 standards presenting mellow jazz piano with just a hint of Cornish flavour and Piano a la Carte which is a solo piano CD with tunes from the great American songbook..
​Whilst the CD ​Cornish Blue features piano as the principal instrument, many tracks also include full rhythm section, strings and other instrumentation. You can purchase any of these CD's directly from the TCM Shop page here. Please find the following three short extracts from ​Cornish Blue. 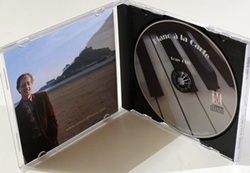 Piano à la Carte is a solo piano CD of 16 selected favourites from the Great American Songbook. The CD is a collection of classic tunes by composers such as Gershwin, Cole Porter, Jerome Kern, Hoagy Carmichael, Harry Warren and Richard Rogers. Piano à la Carte represents perfect music for your romantic dinner party, so just light the candles, uncork the wine and relax and listen to three extracts from the CD here.